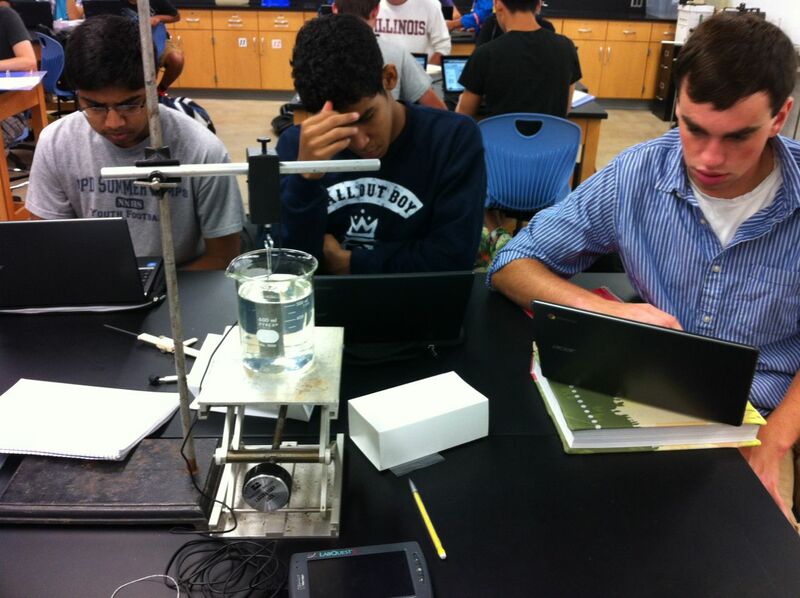 In AP Physics 2, students finished the statics portion of the fluids unit with the Archimedes Lab. In this lab, students apply their understanding of hydrostatics to experimentally measure the density of water by plotting buoyant force vs. depth of cylinder submerged. A lot of attention is placed on the accuracy of the measurements; we broke out the Vernier calipers to measure the cross-sectional area of the cylinders to be submerged. This lab will be the first test of the new lap report workflow with Chromebooks. Students will make their plots in Plotly, write their lab reports in Google Docs (embedding an exported image and link to the Plotly plots), and submit their report via Google Drive to Canvas for feedback and scoring.